Experience the Transforming Presence of God What if you could look over the shoulders of great saints from the past and learn from their example? Suppose you found a diary that contained the prayers, confessions, and dreams of some of history’s most godly people. What might you learn? How might God teach you? The book of Psalms captures lessons that span the scope of human experience. How do I deal with guilt? Can I overcome fear? What will help me grow to trust God in uncertain times? Where can I find true blessedness? What leads to peace in relationships? 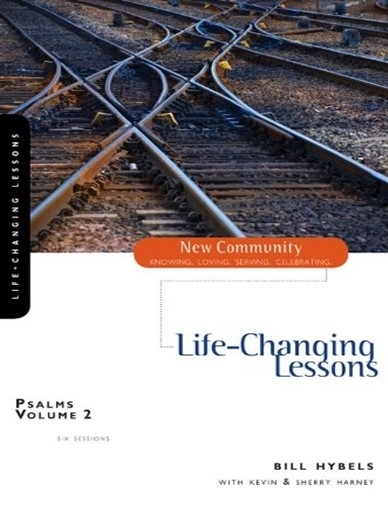 These are just some of the life-changing lessons God wants to unfold in your heart as you dig into the teachings of the Psalms.